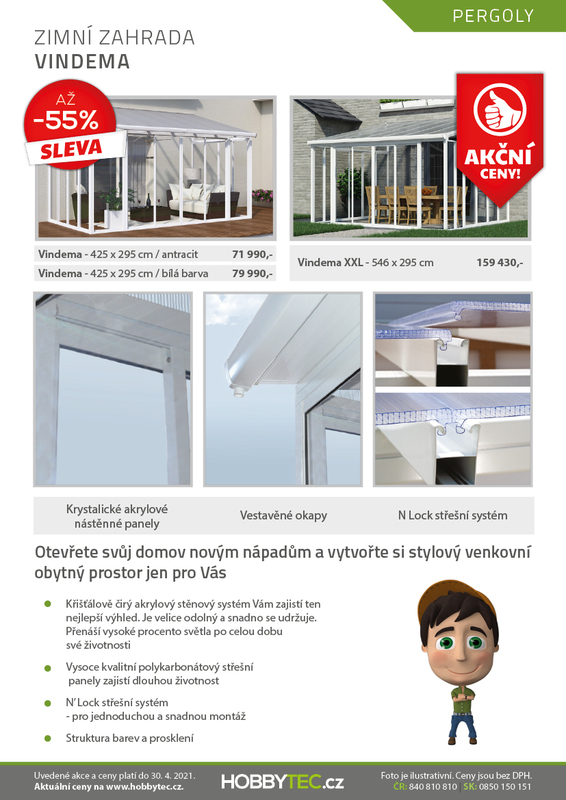 Covered Vindema porch in the size of 425 cm x 295 cm you can easily build yourself with self-help . 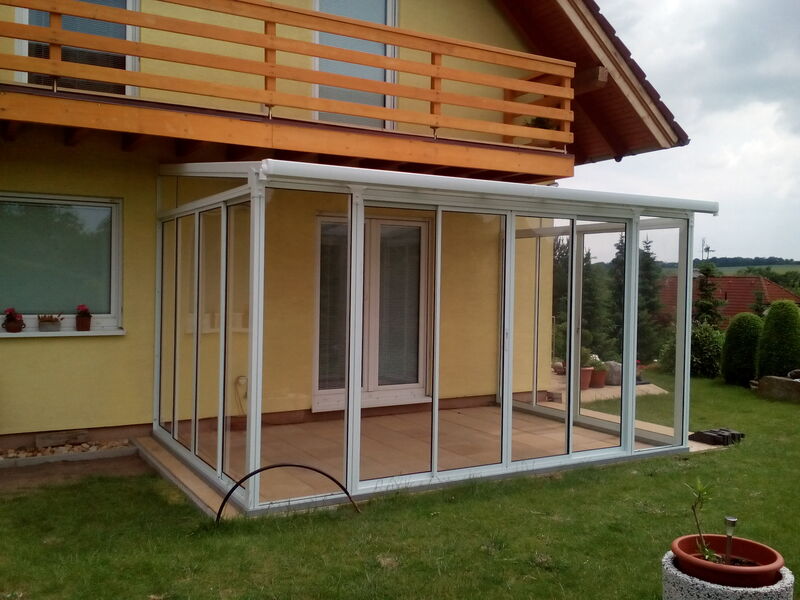 Winter garden with aluminum maintenance-free construction in gray or white. 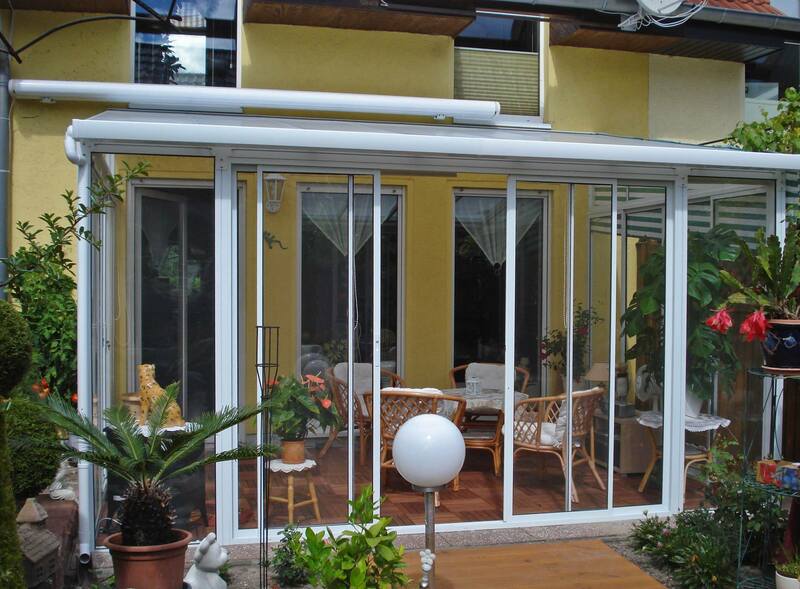 The porch is available in two white and anthracite (gray) colors. 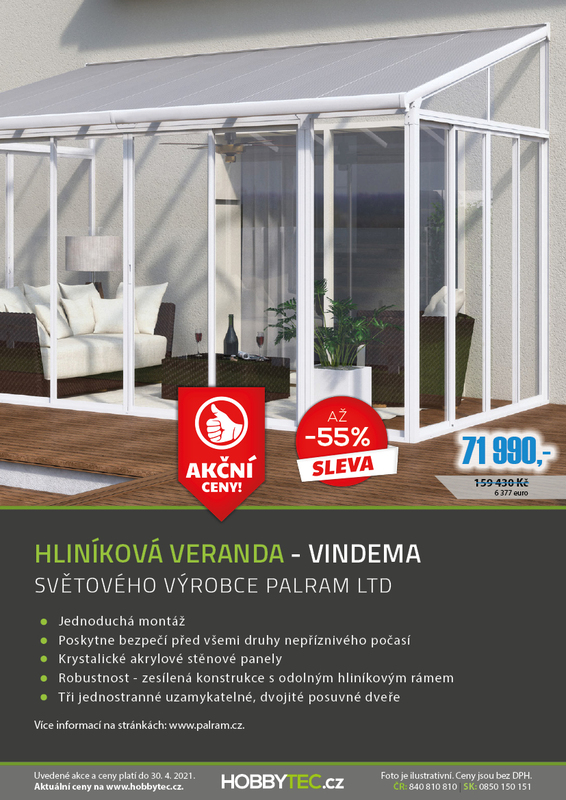 We have a 10-year warranty on Vindema winter gardens. 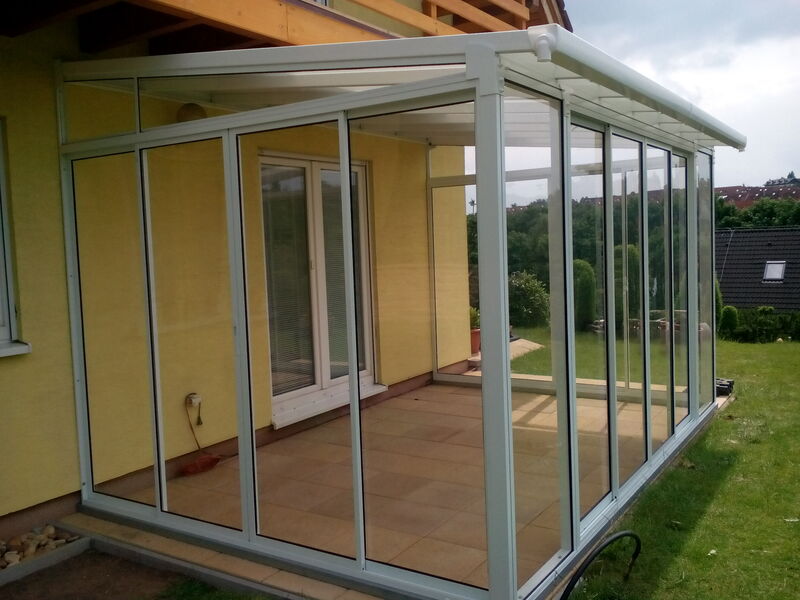 The sidewalls are made of acrylic clear glass that can handle the impact of UV rays and adverse weather conditions. Acrylic glass is also very scratch-resistant. Light transmission does not change over the lifetime of the panels. The roof is made of hollow panels resistant to UV radiation. The roof of the roof is also a water drainage system. Installation of roof panels is facilitated by a snap (Nlock system). 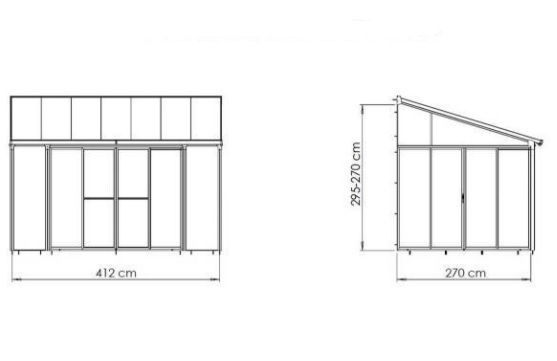 The roof can handle extreme snow loads up to 150 kg / m². The winter garden is made of boards and profiles. 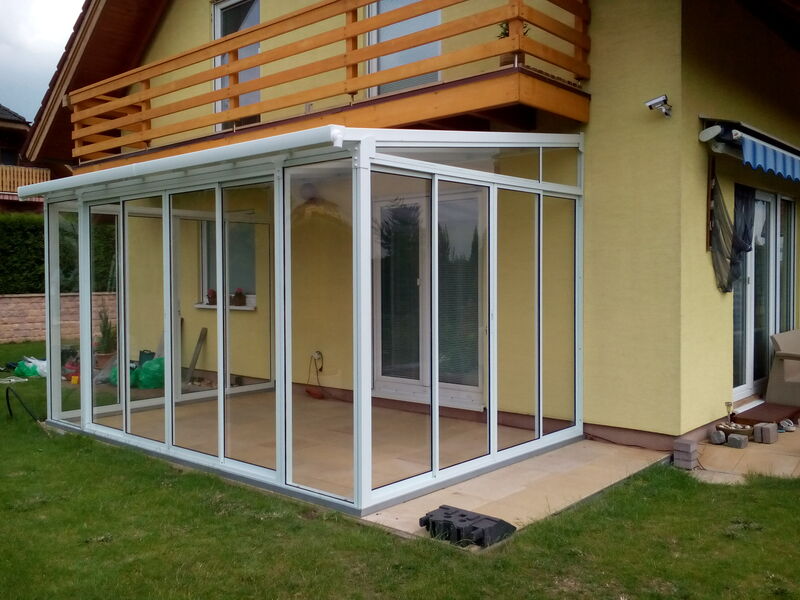 The aluminum construction is reinforced , with a durable aluminum frame, yet you can handle it easily in two people. 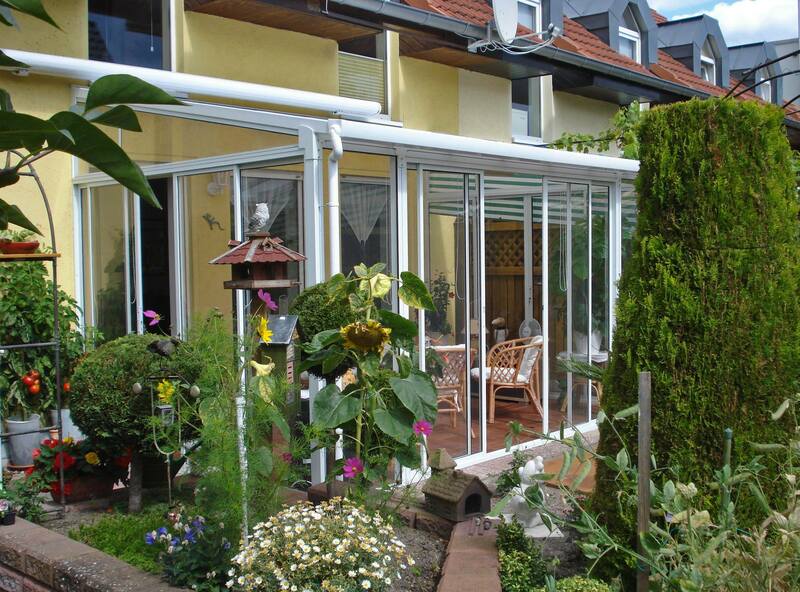 This construction is corrosion-resistant and maintenance-free. No complex preparation is required for the assembly and you can start using it immediately after finishing . Original assembly instructions HERE . Find the instructional video to install the winter garden below.